St Peter’s Church has nestled in the shelter of Uplowman Hill since the 15th century, on the site of an earlier church built by Walter Stapylton, bishop of Exeter, 1308-27. The latter was at the eastern end of Uplowman Court. There is some doubt if it was more a chapel called Beauchapel (or if this refers to the Chapel at Whitnage), but all traces of it disappeared some centuries ago. 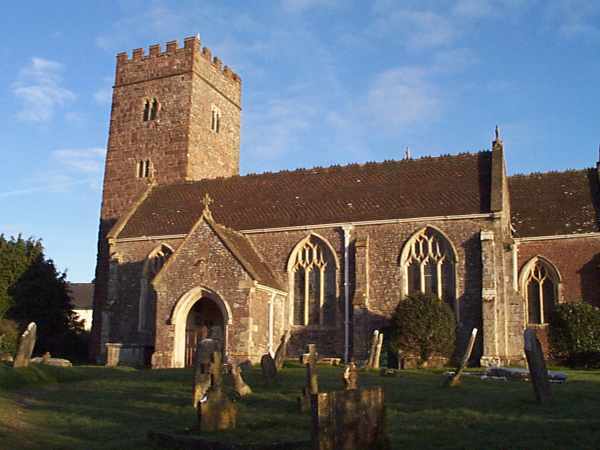 The present church was built by the Lady Margaret Beaufort (1443-1509), Countess of Richmond and mother of Henry VII, who resided occasionally at the village of Sampford Peverell. The south aisle was lengthened by the addition of a small chapel or chantry, founded by one of the Courtenay family, whose initials, “P. C.” may be seen over a niche between the choir and south aisle. Within the niche are the badges of the Courtenay (Earls Of Devon) and Bohun families whilst the capitals of the piers bear the shields of the families of Raleigh and Bonville. Three of the windows are stained, one being a memorial to the Rev. S. Pidsley, a former rector, and another to the late Mr. Commissioner Bere. The church was restored and a new chancel built in 1864. 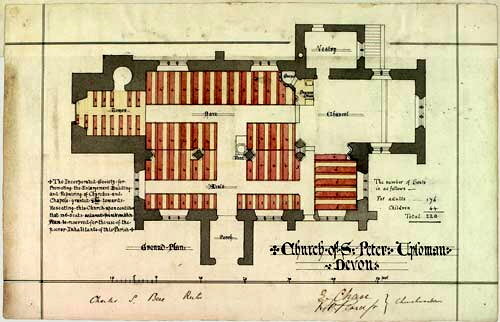 The architect was John Hayward of Exeter and the builder was named Wood. A plan of the revised building is shown below (click to enlarge). A memorial brass by Mr. Harry Hems, of Exeter, was placed on the south chancel wall in 1892, in memory of the Rev. Charles Sandford Bere M.A. rector of this parish 1858-85 and vicar of Morebath, where he died in 1889. On Christmas Day 1897 a new wooden lectern was placed in the Church to commemorate the diamond jubilee of Queen Victoria and can be seen today. In 1919 there was a heated debate at the Parish Council meeting whether to have a new stained glass window or a new clock on the Church Tower. There are six bells in the tower which were rehung in 1936. The oldest of which dates back to 1681. 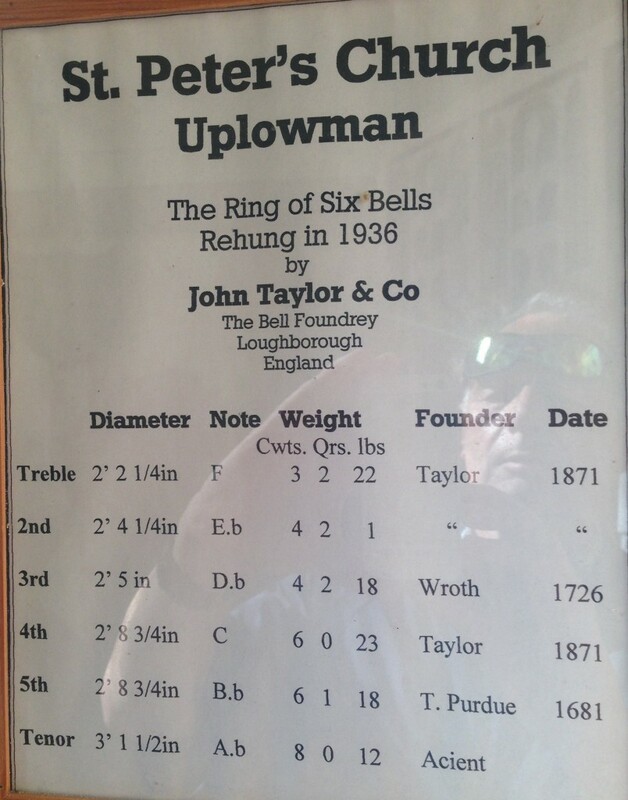 There is a plaque commemorating the rehanging which gives details of the bells. A photo of this is here. In 1938 the extension of the graveyard was consecrated. Notably the register dates from the year 1662. The Church is now served by the Sampford Peverell Team Ministry.